Welcome to our Rapid RH® resource library offering informative articles and videos on a wide variety of topics related to concrete and moisture testing. While fast, accurate moisture measurement is not difficult or complex, there are some key things to know to be successful with every one of your flooring projects. So we encourage you—take time to browse our list of topics and titles. You’ll be surprised at how much you can learn here, and as your knowledge grows, so will your ability to deliver great results every time someone needs your help on a flooring project. Guidelines, advice, and case studies for ensuring standards compliance. 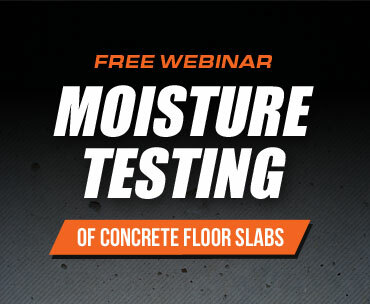 Become versed in useful moisture testing how-to’s. Find out why the CaCl method is NOT to be trusted. Learn the basics about concrete, aggregates, admixtures, and more. Technologies, devices, and techniques for fast, accurate moisture testing. Useful tips and ideas for beautiful, trouble-free decorative concrete surfaces. Learn your options, plus how to avoid common pitfalls. Know its unique characteristics and how best to test for moisture. Resources for science-based RH moisture measurement. What you can expect with tile, vinyl, and rubber floors. Get the low-down on why subfloor moisture matters and how to measure it. Know how to detect and solve moisture problems. Discover ways to maximize your success on the job. Don’t see what you’re looking for? Please let us know. Just give us a call at 541-291-5123. We’d be happy to answer your questions, or if we don’t know the answer, help get you to someone who does. Plus we’re always looking for great new ideas for educational articles and videos. It’s just one more way we can serve you better.